The business of medicine differs from most other enterprises. Health care leaders must balance a revenue-generating mission with a humanitarian one, and negotiate effectively not just with other executives but also with physicians and nurse leaders. Moreover, they are dealing today with rapid change coming at them from all sides. 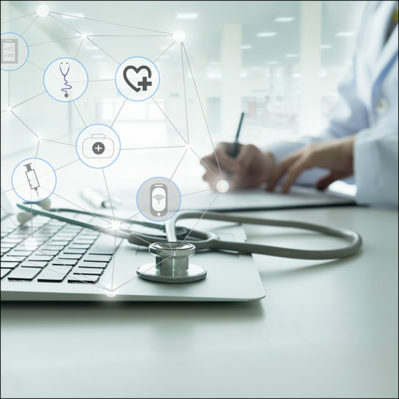 Disruptive technologies and precision therapies are reshaping medical care and yielding revolutionary advances in treatment. Medical facilities are consolidating, investing, and expanding. Reimbursement models and quality expectations are in flux, and major policy and economic shifts may be on the horizon. Health care leaders are charged with steering their organizations to success despite this constant upheaval. But even with their deep knowledge of medicine, and the business acumen they’ve acquired on the job, it’s likely that they’ll need to amplify their skills with formal training in organizational change management. 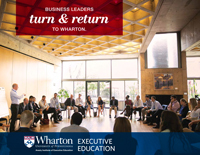 Wharton Executive Education and Penn Medicine have teamed up to meet this need, launching Leadership in a New Era of Health Care. The program, which begins in March 2019, will enroll established and aspiring leaders both within and outside the U.S., helping them survive and thrive at a time of unprecedented change in the science, technology, and economics of medicine. 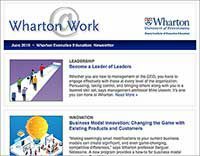 Lerman and fellow academic director Sigal Barsade, PhD, Wharton management professor, say the program will deliver a strategic toolkit for executives to lead optimally in a next-generation health care organization or academic medical center. It will help them understand their particular organization’s culture so they can manage effectively, acquire new strategies for driving organizational change, improve their emotional intelligence in order to become a stronger leader, and optimize their personal negotiating style to boost their influence. Another unique aspect of the program is the “Health Care Challenge.” Armed with the real-world organizational challenge that they identify before the course begins, participants will meet in highly interactive small-group sessions to give and receive feedback from peers and faculty. Lerman and Barsade explain that this sharpens their ability to analyze challenges and will deliver insights that help them execute change. One of the major benefits of the program is world-class networking opportunities. Those in attendance will get to hear firsthand from other health care leaders about how they are navigating tough situations in today’s evolving health care landscape. Moreover, they’ll be exposed to the knowledge of prominent guest speakers and panelists from the University of Pennsylvania’s Perelman School of Medicine and Health System and from Children’s Hospital of Philadelphia. As an added bonus, physicians can earn CME credits* by completing the program. “Health care leaders today need a broader skill set,” explains Jameson. 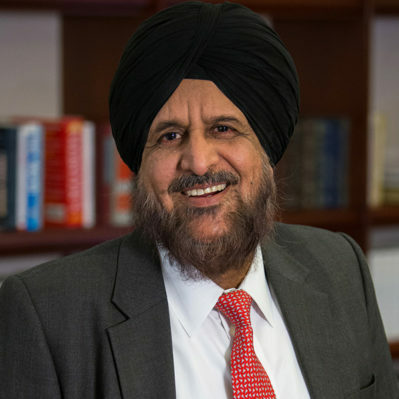 “They must be strong negotiators, keen students of business, and have the emotional intelligence necessary to lead diverse teams who are evolving our approaches to patient-centric care.” Leadership in a New Era of Health Care is poised to deliver those skills, plus the ability to lead in a time of uncertainty with agility and confidence.